The second biggest recipient of budget under the transport infrastructure fund in 2015 is air transport, which will be implement by the DOTC, receiving P13.28 billion, higher by 46 percent compared with P9.11 billion this year. Of the air transport budget, Bicol International and Puerto Princesa airports will get P1.55 billion each, Clark Airport (P1.2 billion), Busuanga Airport (P1.02 billion), General Santos Airport (P959 million), Kalibo Airport (P950 million) and Iloilo International Airport (P791 million). Other recipients include Ozamis Airport (P695 million), Camarines Sur or Naga Airport (P670 million) and Ninoy Aquino International Airport capacity expansion and maximization (P592 million). Kalibo International Aiport in Kalibo, Aklan and the Iloilo Aiport in Cabatuan, Iloilo will get P950 million and P791 million, repectively, for their “capacity expansion and maximization,” said Iloilo City’s Sen. Franklin Drilon. The airport upgrades worth a total of P1.7 billion are in line with the hosting of Iloilo City and Boracay Island of the Asia-Pacific Economic Cooperation (APEC) Summit ministerial meetings in 2015. Iloilo City will host the SME Ministerial Meeting from Sept. 21 to 25 and the Food Security Week from Sept. 28 to Oct. 6. Boracay, on the other hand, will be the venue of the Senior Officials Meeting and Related Meetings from May 10 to 21 and the Ministers Responsible for Trade Meeting from May 23 to 24. The Department of Transportation and Communications (DOTC) started inviting bidders to submit their bids to upgrade the Kalibo airport, which is estimated to cost P206 million. The project involves the construction of a new apron and two-stab taxiways, and the installation of apron flood lights. Interested bidders can submit their bids until Sept. 26, 2014. Prospective bidders are required to at least be 75 percent owned by Filipinos and must have an experience of having completed at least one contract worth at least 50 percent of the approved budget for contract of the project. According to the DOTC, it will conduct an open competitive bidding using non-discretionary pass/fail criteria specified in the implementing rules and regulations of Republic Act 9184, also known as the Government Procurement Reform Act. 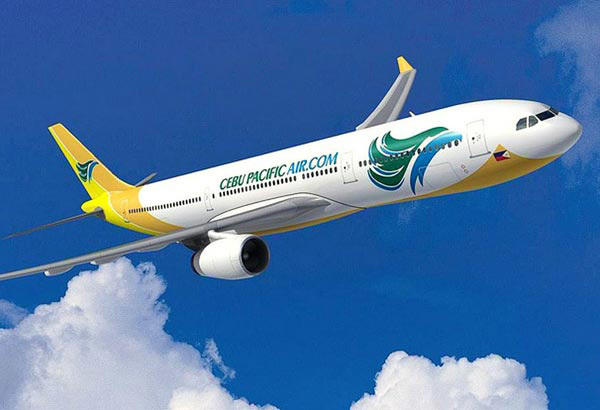 Budget airline Cebu Air Inc. (Cebu Pacific) of taipan John Gokongwei is expanding its hubs outside Manila by launching direct flights to Hong Kong and Japan starting next month. Cebu Pacific announced that it would mount flights to Hong Kong from Boracay via its hub in Kalibo, Aklan starting March 2. The Boracay – Kalibo would have three weekly flights using an Airbus A320. Geometry Dash is a fast-paced platformer that will leave you screaming in frustration, but you’ll keep coming back for more! Sources of the transportation have been increased with the support of the individuals. The normal issue of the transportation and superior papers has been involved in the comfortable environmental conditions for the passengers. All times are GMT+8. This page was generated at 08:56 PM.